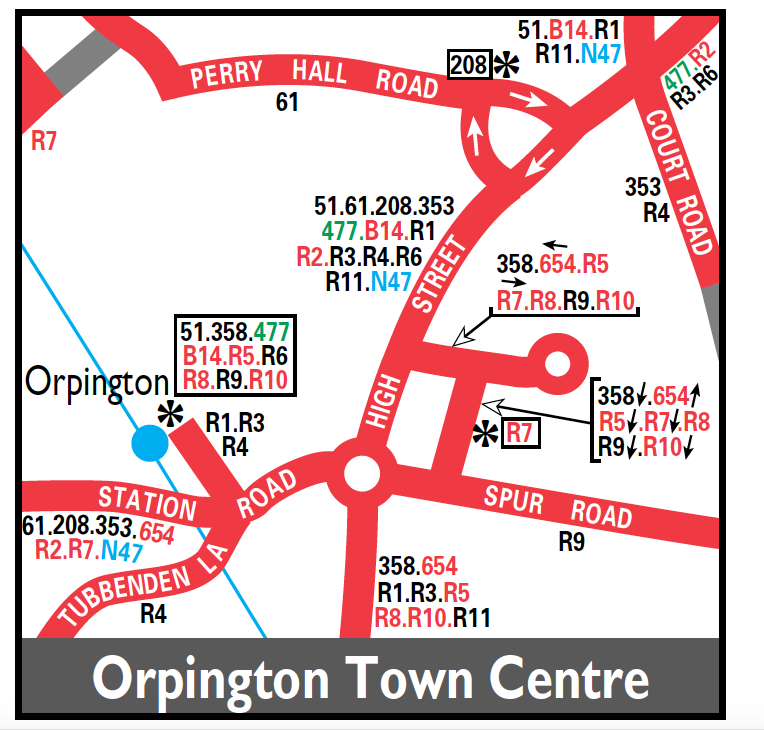 The hourly link between Farnborough and Bromley provided by routes 261 (Saturdays) and 361 (Mon-Fri) - and also journeys on peak hour route 471 between Green Street Green and Orpington - were withdrawn and replaced by changes to the 358 - whose eastern end was modified to what we know today. 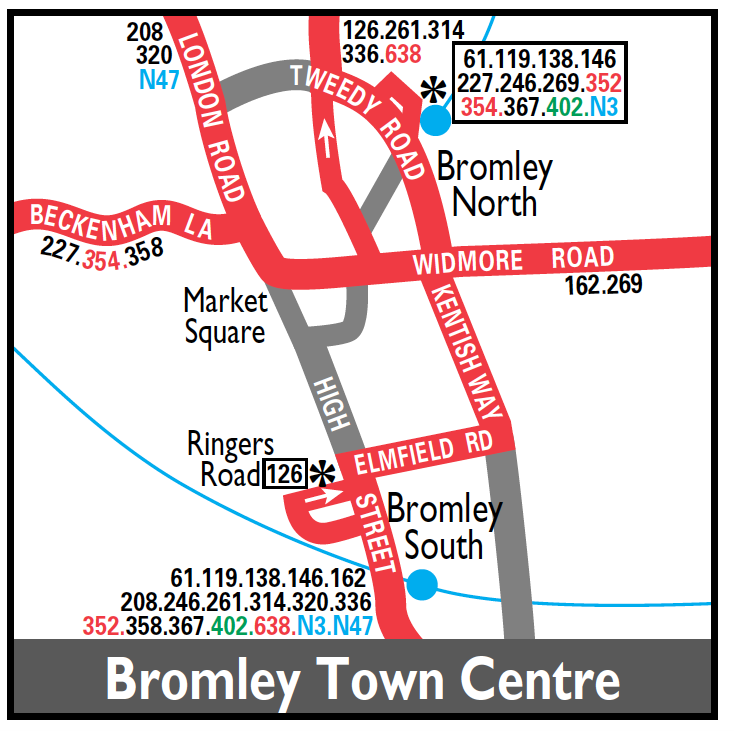 In order to serve Bromley town centre more effectively - the route was diverted via Market Square and Shortlands Road - instead of Westmoreland Road. Because this took the route under the low bridge at Shortlands - single deckers had to be used - and a batch of 9 Dennis Darts was ordered. 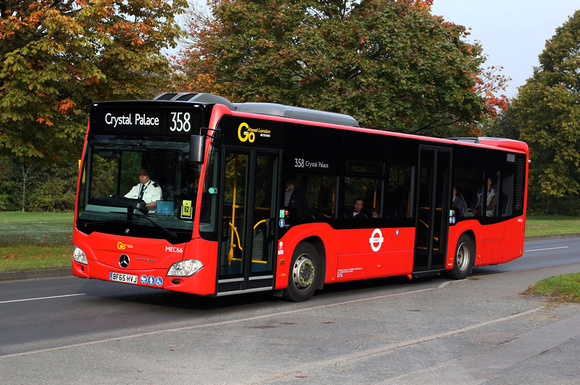 Buses ran every 20 minutes during Monday to Saturday daytimes - with a new hourly evening and Sunday service. This represented a substantial increase over all the previous services that were replaced.